In the video clip below Charlie Cooke, Director of Coerver Coaching USA, instructs players in a scoring drill that is part of his Fast Break Attack demonstration. Coach Cooke is a former professional soccer player from Scotland that played in both the Scottish Premier Division and English Premier Division. 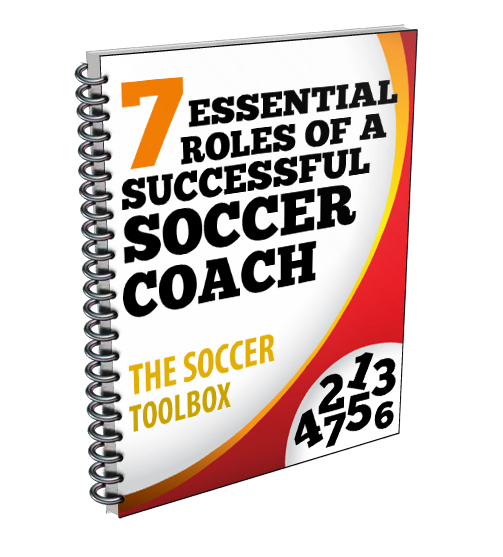 He was also a successful high school soccer coach and helped start Coerver Coaching. Coach Cooke is demonstrating this drill as part of his presentation at a recent Glazier Soccer Clinic. If you are interested in gaining access to the entire presentation, as well as access to hundreds of other clinic presentations, click the link Glazier Clinics Vault. If you would like to attend a Glazier Soccer Clinic click HERE to find one near you. This drill is set up with four small goals inside a 20 x 20 grid. The two small goals on each end are 12 yards apart and there are two teams split up on opposing teams. The size and distance of the field can be adjusted as needed based on your player’s experience and ability levels. Coach Cooke instructs the players from each team to dribble the ball until they get into the shooting zone (5 yards from either small goal) to take a shot, then they have to immediately turn and defend their opponent from the other team who is waiting to dribble towards the opposite end to get their shot. This continues back and forth with additional variations added that include shooting plus running around the small goal before going to defend, shooting and then touching the small goal with a hand, and immediate defending after a shot. The video clip below has sound, so please make sure that your sound is turned on. There are several key points to focus on with this drill. First, the offensive and defensive transitions must be quick. Players need to be constantly challenged to attack at speed, as well as fast sprints to get back if they are chasing down the ball. Second, the changes added to the drill make players think and that should be an important part of every coaching activity. Your smart players will find ways to be creative and get a competitive advantage. Finally, this drill allows you to work on multiple things at once. Dribbling, shooting, offensive/defensive transitions, and fitness are all areas that can be worked on and improved during this training exercise.